ACT Wins 6 Motif Awards! 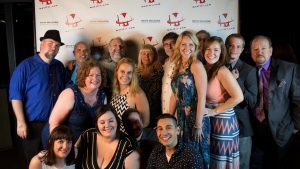 - Attleboro Community Theatre, Inc.Attleboro Community Theatre, Inc. ACT Wins 6 Motif Awards! - Attleboro Community Theatre, Inc.
Home » Uncategorized » ACT Wins 6 Motif Awards! ACT is beyond proud, excited, and pleased to be recognized by such talented individuals in the Rhode Island area. They are especially proud of 10-year-old, Emma Yutz for taking home the Best Leading Actress Award and going up against experienced and inspiring talent. Emma, who was 9 at the time of the production, immersed herself in the role of Virginia and won the hearts of many. ACT’s production of “Glengarry Glen Ross” also shined on Sunday by receiving 4 awards. ACT knew that this non-traditional play would be a risk, and the risk was taken on well by Mario J. Carnerio who made his directing debut in Fall 2015 with this production. Online tickets and reservations can be made by visiting the ACT website at www.attleborocommunittheatre.com.